With ilks reminiscent to Children Of Bodom, Arch Enemy and Carcass, it’s extremely facile although unwise to suggest that Grim Drowsiness are too late in latching the commercial bandwagon. There is a specific lack of ambition that is resoundingly disappointing with this EP, as the capabilities and potential within the band are squandered by blindingly obvious (and periodically low brow) song writing. Yet, Grim Drowsiness are extensively good at what they do. Aside from the minor anomalies, the band are easily one of the more objective quintets around, progressing with a clean coherence through each track, often felt from their very forerunners. It’s effortlessly easy to slam the door on various personal performances through the EP with successive lead, bridge, and vocal sections beckoning the question; to what extent has this demo been finished? Sonically, this is rich stuff, proving bang for your buck based on the mixing quality the record exudes. This isn’t a demanding release for the listener, that will work as an easy stepping stone for newcomers of the genre, but invites a hit or miss attitude for experienced users to adopt. 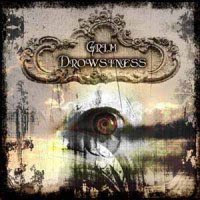 Grim Drowsiness’ biggest hurdle lies with their own stylistic positioning. Everything the group has achieved has already been done so since 97’. And although Grim Drowsiness will most certainly prove popular locally, they are an incremental update to the genre.